Tip #1. There are several modular building suppliers in California that service the Los Angeles market. These companies will compete for your business so get at least three price quotes before you spend any money. **Use the form below to send your request for a price to the most popular suppliers in California. This also works for all other U.S. States. Tip #2. With so many portables and modular buildings being used you will most likely find your best deal on a used structure. Check with Los Angeles Unified School District and other surrounding public and private schools to see if they have any portables to sell. Also try calling some of the larger churches in the area - sometimes you can find a great deal by going direct to the owner of the modular. Tip #3. Consider buying a used portable over renting. Sometimes you can save thousands of dollars this way and will be free and clear to use the modular for as long as you need - and keep it available for future needs. Try calling school districts in Orange County as well. They have an abundance of older DSA approved portable classrooms to sell and in many cases they let them go for low prices. Marco...this is the page I directed you to. 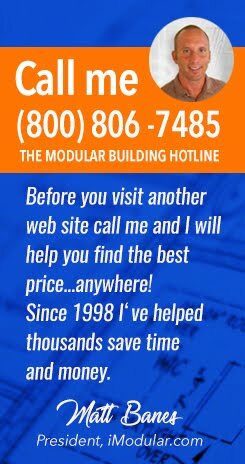 I help people find used and new modular buildings and classrooms in the U.S. and abroad. California is one of my best markets for this business. San Diego Unified School District and Oceanside USD both have portable classrooms available for purchase. Try contacting the facility management departments at both of these districts or give me a call at (714) 442-2757 ext 502.